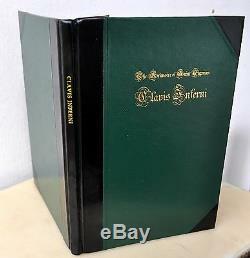 CLAVIS INFERNI (Key to Hell) Deluxe LE #26/100 Signed The Grimoire of St Cyprian'Cyprianus' Deluxe Signed Ltd Ed Occult. 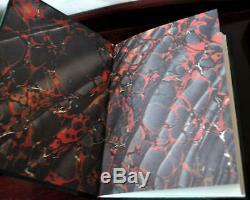 Deluxe Leather-bound Edition Published by the Golden Hoard Signed by Stephen Skinner Limited Edition One of 100 Copies. 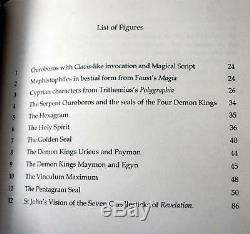 The Grimoire of St Cyprian. Golden Hoard Press, Singapore, 2009. Limited Edition - One of 100 copies, this being #26. 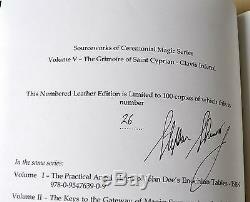 It was limited to 100 copies, and signed by the publisher/editor, Stephen Skinner; and hand-numbered #26 of 100. 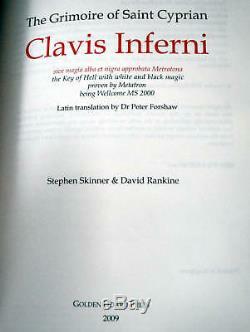 The text includes both the original Latin version, and the English translation. 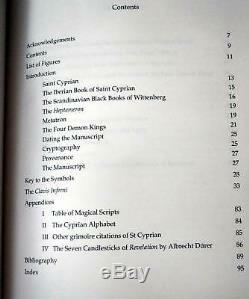 There is also a lot of additional information, with a long introduction, a key to the symbols, and 4 appendices, as well as a comprehensive bibliography - none of which was available in the SEE edition of this grimoire. This important grimoire would make a significant addition to any serious occult library. This is the last copy I have available of this important work. Check out my other items. & b e sure to add me to your favourites list. As I will be listing many other Rare & hard-to-find books, artworks and many other items of interest. 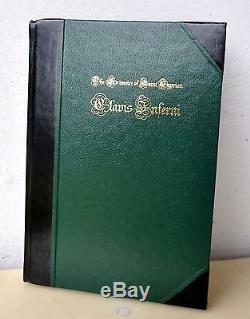 The item "CLAVIS INFERNI Key To Hell Deluxe LE/100 Signed Grimoire of St Cyprian Cyprianus" is in sale since Tuesday, March 24, 2015.